Aljur Abrenica and Kris Bernal will start to inspire you tonight, September 23, with the premiere of their new teleserye "Prinsesa ng Buhay Ko," before 24 Oras. Under the direction of Dondon Santos, Prinsesa Ng Buhay Ko’s storyline aims to inspire viewers to always have a positive outlook in life, and believe that with hard work and determination dreams can come true. And to portray the characters of Princess and Nick in the series is one of the Kapuso Network’s hottest love teams–Kris Bernal and Aljur Abrenica. 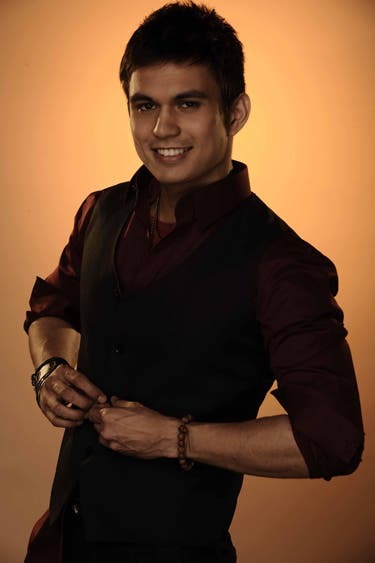 Introducing in this program is newest Kapuso Renz Fernandez who will play the role of Luis, Nick’s stepbrother who will fall in love with Princess. Completing the stellar cast of “Prinsesa ng Buhay Ko” are LJ Reyes as Kate, Nick’s scheming ex-girlfriend; Ms. Carmi Martin as Eliza, Luis’ manipulative mother; Emilio Garcia as Roberto, Nick’s real father; Martoni Fernandez as Tess, Nick’s mother; Marco Alcaraz as Waldo, Princess’ brother; Debraliz as Mother Superior; Ping Medina as Steve, Nick’s bestfriend; Jan Manual as Phil, Princess’ gay friend; Vincent Magbanua as Vicvic, a street vendor who has a crush on Princess; Lian Paz as Violet Waldo’s girlfriend. The pre-primetime series tells the story of Princess, a hardworking young woman who was orphaned at a young age. Despite being raised in a foster home, Princess is strong-willed who possesses a big heart and an independent spirit. Poll: Who is GMA’s Drama Prince? Poll: If You are Trapped in an Island with a ‘Tempting Hunk’, Who Will You Choose to Be With? hai sobra tlga ang ganda ng prinsisa ng buhay ko.sana ako nlng ung gurl at ka partner ko si anthur.